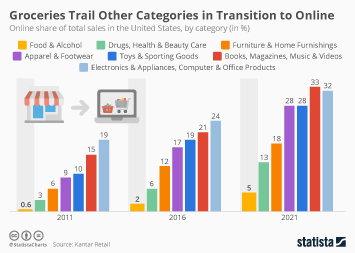 Over the past 16 years, online shopping has grown from a niche phenomenon to something that roughly 200 million Americans are doing. Back in 2000, e-commerce accounted for less than one percent of total retail sales in the U.S. – by the second quarter of 2016 that percentage had grown to 8.1 percent, according to the U.S. Department of Commerce. 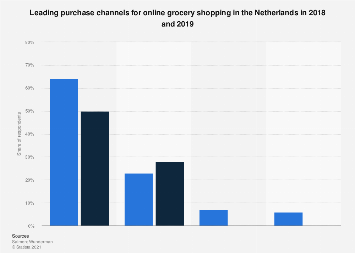 For many years, grocery shopping has been largely untouched by the e-commerce revolution, but recently, leading online retailers such as Amazon have made clear their ambition to change that. 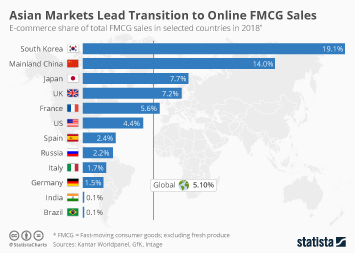 Amazon Fresh, the company’s grocery delivery service, is now available in 18 markets worldwide and, during their most recent earnings call, CFO Brian Olsavsky reiterated how important groceries and consumables are considered for the company’s future success. 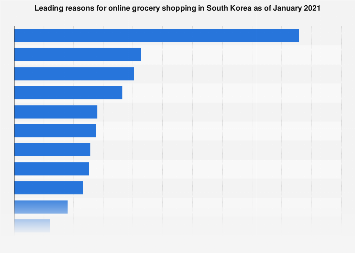 One of the key challenges for online retailers with respect to selling groceries has always been the logistics involved, and our chart illustrates why. When it comes to shipping, consumers are very price sensitive, i.e. when given several delivery options, the vast majority picks the cheapest one. For the delivery of groceries though, speed is crucial and finding a way to deliver fresh food to consumers quickly, reliably and affordably is far from easy. 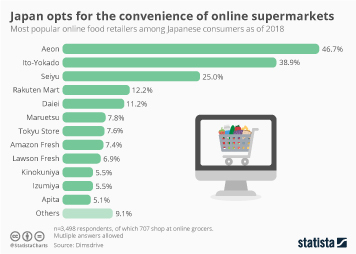 Because of the logistics challenges involved, analysts from Statista’s Digital Market Outlook expect that few large players, willing to make the necessary investments to solve the ‘last-mile’-problem, are going to dominate the online groceries market for the foreseeable future. For an international analysis of the online groceries market including revenue forecasts and possible solutions to the logistics challenges involved, please download our free market report compiled in association with TrendOne: ‘E-Commerce: Food & Personal Care’. This chart shows what type of delivery option consumers in the United States, China and Germany typically choose and how important speed of delivery is when purchasing different types of goods online. 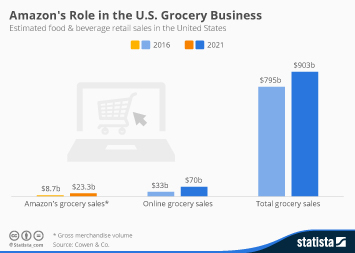 Online Grocery Sales Have Yet to Take Off in the U.S.